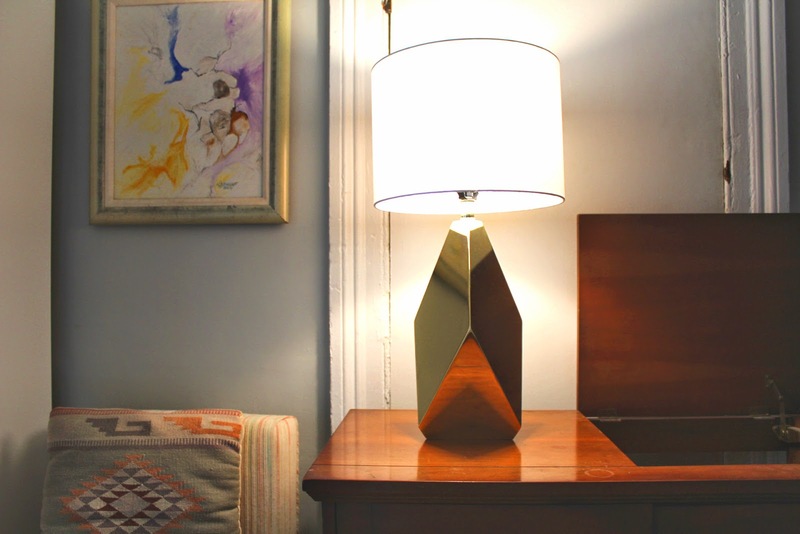 Our home recently scored this gorgeous gold geometric lamp base from the Nate Berkus for Target line and it's for sure a game room changer. After spotting the piece in Nate Berkus's house tour on Rue Magazine (among several other design blogs), I was really coveting it. This was the very last one at our Brooklyn Target and was marked down to $40. Paired with a stark white shade, this lamp adds a modern moment to the space, and both Will and I LOVE IT.